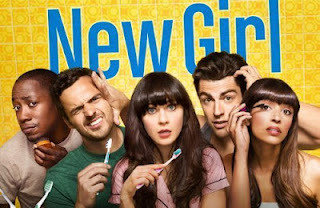 Quick Thoughts: NEW GIRL, "Eggs"
I haven't been loving this season of New Girl, not because it's not funny but because it cannot compete with Happy Endings or Go On. It's a dependable show, but it hasn't been blowing me away... until "Eggs." I'm going to go ahead and say that "Eggs" was easily the best episode of the season if not the entire series. The jokes were firing on all cylinders and a good chunk of them landed, but it was the bonds between the friends that worked for me. Even though I want Winston to be his own character, I always get a kick out of him laying truth on Nick and they had some great moments this week. Speaking of Nick, he continues his streak of being the funniest character on television today and I don't see anyone catching up to him anytime soon. But my favorite moment was the very end when the roommates gathered to listen to Z is for Zombie. It was just a natural scene that reminded me of how special this show can be. The thing is the plots involved were an afterthought. I don't really care about Schmidt's lovelife or the fact that he's a vagenius. I really don't care about him and Cece, so the fact that the show's inching them towards each other for me. Ditto for Jess' fear of being infertile, which I felt was her at her most annoying and that's saying something. Thankfully, the aforementioned Nick and Winston kept me interested with a relateable story and some awesome jokes. I still don't think New Girl will be able eclipse its Tuesday night rivals, but I'd be willing to give it some serious thought if it cranked out more episodes like this one.